Refugee Action Coalition Sydney has reported five attempted suicides by asylum seekers in Nauru in recent weeks. The latest attempted hanging took place last Saturday (2 February). “Just as with the recent suicide attempts on Manus Island, those on Nauru reflects the despair and desperation that engulfs asylum seekers in the remote detention centres. Many are tricked into the transfers initially believing they are being moved into the community like others who arrived with them,” said Ian Rintoul, spokesperson for the Refugee Action Coalition. “People on Nauru still have no idea when their refugee process will begin. And conditions are deteriorating in the camp itself. The construction site for the new detention building has cramped the small site even further. The recreation space has been dramatically reduced. 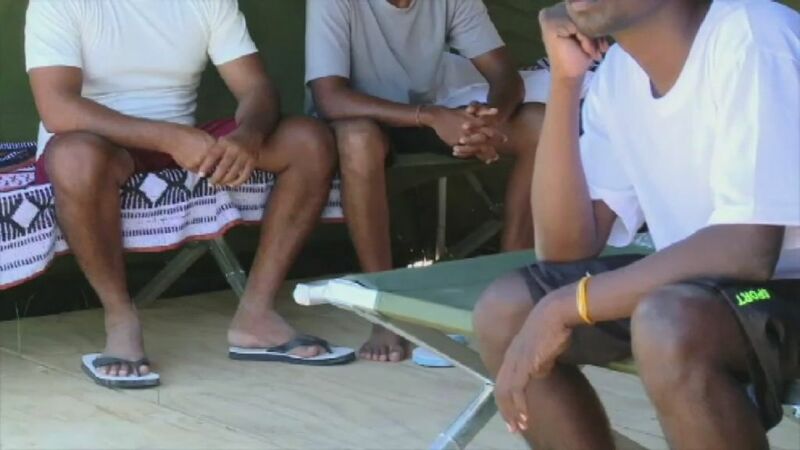 The Australian has reported that 88 detainees will soon be to moving out of tents and into a newly built block. It says that, unlike the flimsy weatherboard huts used in the first iteration of the Pacific Solution under the Howard government, the new buildings are built to last. The initial stage of the project is a twin-storey accommodation centre of about 1000sq m, containing 44 rooms grouped in three pods, connected by covered breezeways. Asylum-seekers will sleep two to a room of 4m x 3.5m. The centre is the first of 10 planned accommodation blocks in a camp that will cost more than $70 million to build and hold up to 1500 detainees.